The New Zealand Tourism Research Institute at The Auckland University of Technology brings together experts from around the world to deliver innovative research solutions for the industry and those who depend on it. Our research enables business, community and government to develop profitable and sustainable industry outcomes. The institute is a recognised leader in graduate student research and education, with many alumni in key international academic and industry positions. 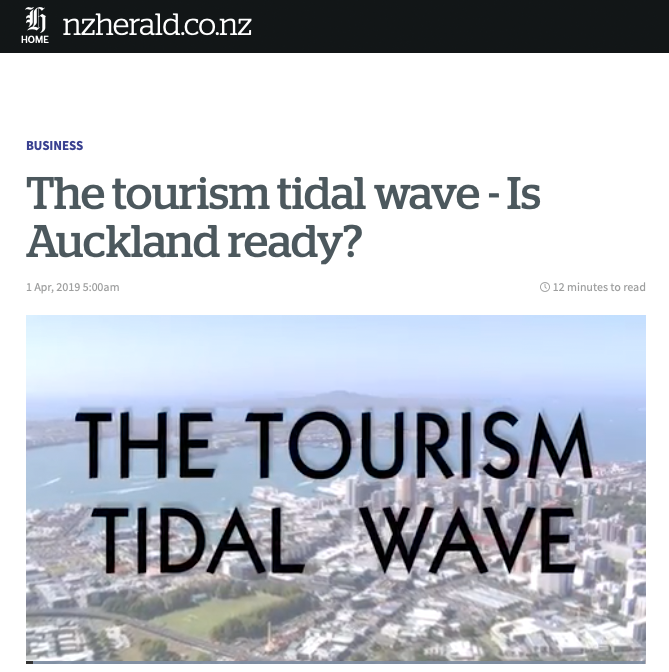 The tourism tidal wave - Is Auckland ready? 2021 – Auckland will be hit by a perfect storm. That year, the city will host the America's Cup, the APEC Leaders' Summit, Te Matatini, the Royal NZ Yacht Squadron's 150th Anniversary, the women's Rugby World Cup, the women's Cricket World Cup, and the men's Softball World Championship. NZ Herald looks at whether Auckland is ready for the rising wave of Tourism. Director of the New Zealand Tourism Research Institute, Professor Simon Milne, says based on Samoa's visitor survey for 2018, the nation has a lot of be proud of. 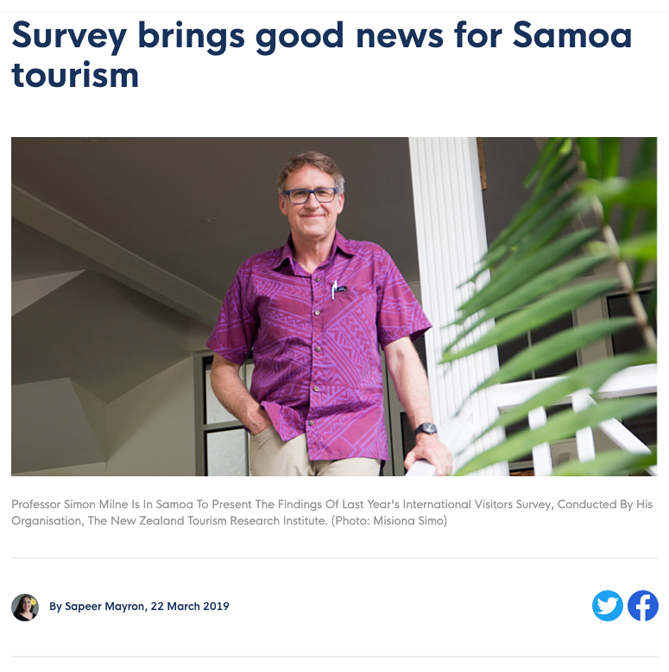 Professor Simon Milne presented the results of 2018's visitor survey to the tourism sector at Samoa Tourism Authority's Tourism Forum 2019.